George Stampa, the son of an architect, Giorgio Domenico Stampa, was born in Constantinople (now Istanbul) on 29th November 1875. His father was involved in the design of the Manchester Free Trade Hall. Stampa was educated at Appleby Grammar School, Heatherley's School of Art (1892-1893) and the Royal Academy Schools (1893-1895), where his fellow students were Lewis Baumer and Heath Robinson. He also shared a studio with Savile Lumley. Inspired by the work of Phil May and Charles Keene, G. L. Stampa began contributing to Punch Magazine in 1894. 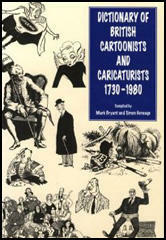 His cartoons appeared in the magazine for the next 55 years. 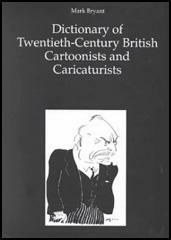 He also worked for The Daily Graphic, The Bystander, The Strand Magazine, The Pall Mall Gazette, The London Opinion, The Sketch, The Tatler and The Windsor Magazine. According to Mark Bryant: "He (Stampa) always carried a drawing pad and a pencil stub (new pencils were cut into four pieces) and worked in ink, oil, pastel and watercolour on Velum paper and board at a drawing board titled at 45 degrees." Books by Stampa include Loud Laughter (1907), Ragamuffins (1916), Humours of the Streets (1921), Memoirs of a Child (1926), My Dog and Yours (1929), That Dog of Mine (1930) and In Praise of Dogs (1948). George Stampa died in 1951.